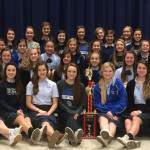 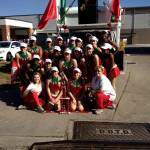 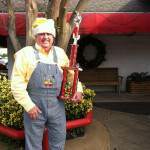 The Natchitoches Christmas Festival Parade Committee awarded trophies to nine participants of the 2014 Festival of Lights Parade held on Saturday, December 6, 2014. 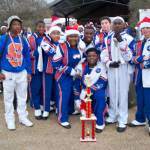 Awards were presented in nine separate categories recognizing excellence in music, entertainment and holiday spirit. 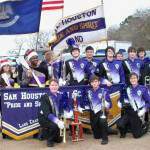 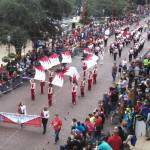 In the band division, awards were presented to: Tioga High School (Tioga, LA) Marching Band for best music; Southwood High School (Shreveport, LA) Marching Band for most entertaining; and Sam Houston High School (Lake Charles) Marching Band for most holiday spirit. 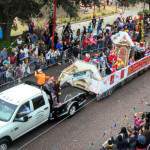 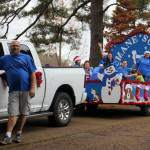 In the float division, awards were presented to Camp Quality for best float and the Natchitoches Humane Society for most holiday spirit. 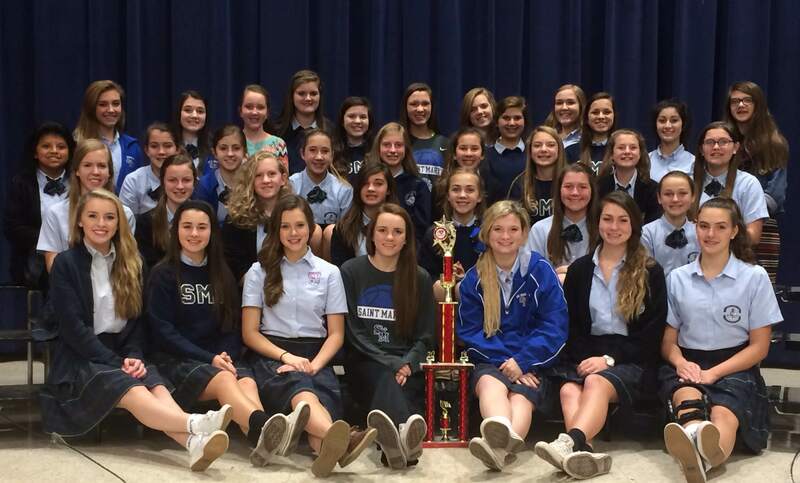 The best dance group award was presented to the Tabasco Kids, while the St. Mary’s School Spirit Groups received the award for best cheer group. 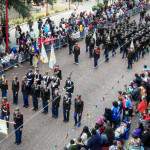 Natchitoches Central Junior ROTC was awarded best marching unit and Pop Smiley’s Train received the award for best specialty unit.